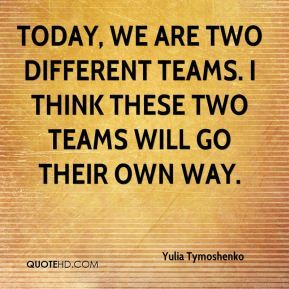 Today, we are two different teams. I think these two teams will go their own way. 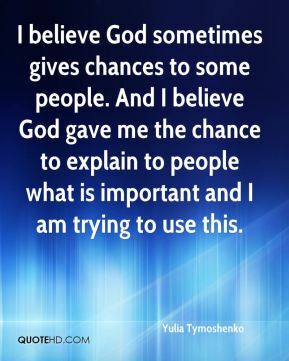 Of course, I will fight for the post of prime minister in the parliamentary elections. 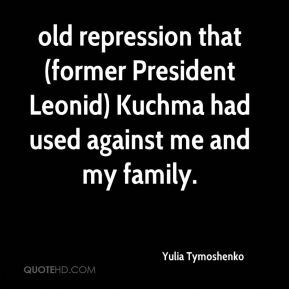 old repression that (former President Leonid) Kuchma had used against me and my family. 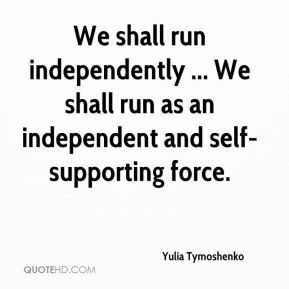 We shall run independently ... We shall run as an independent and self-supporting force. The air we are breathing is corrupt. 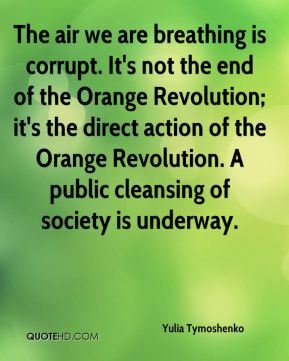 It's not the end of the Orange Revolution; it's the direct action of the Orange Revolution. A public cleansing of society is underway. 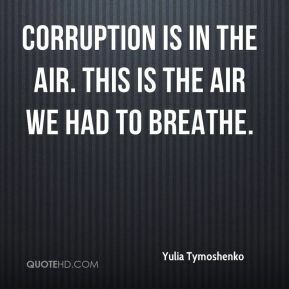 Corruption is in the air. This is the air we had to breathe. 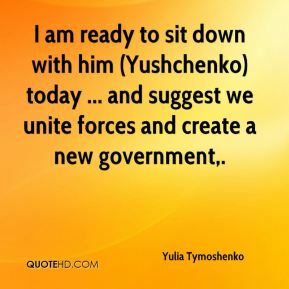 I am ready to sit down with him (Yushchenko) today ... and suggest we unite forces and create a new government. 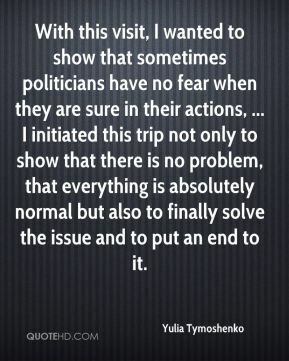 With this visit, I wanted to show that sometimes politicians have no fear when they are sure in their actions, ... I initiated this trip not only to show that there is no problem, that everything is absolutely normal but also to finally solve the issue and to put an end to it. 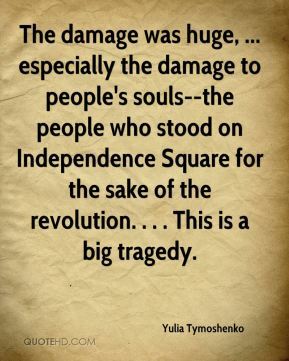 The damage was huge, ... especially the damage to people's souls--the people who stood on Independence Square for the sake of the revolution. . . . This is a big tragedy. 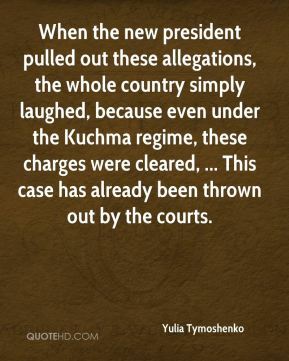 When the new president pulled out these allegations, the whole country simply laughed, because even under the Kuchma regime, these charges were cleared, ... This case has already been thrown out by the courts. The revolution is not yet finished. 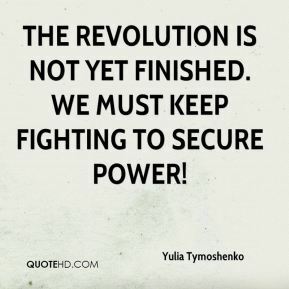 We must keep fighting to secure power! 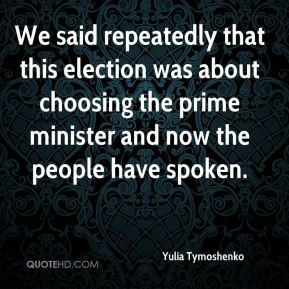 We said repeatedly that this election was about choosing the prime minister and now the people have spoken. Today, much more than yesterday, there is a threat of a coalition between Our Ukraine and the Regions Party. 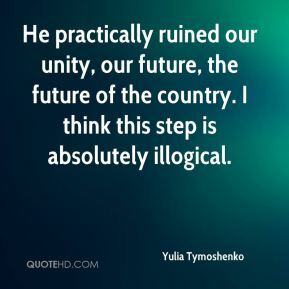 He practically ruined our unity, our future, the future of the country. I think this step is absolutely illogical. 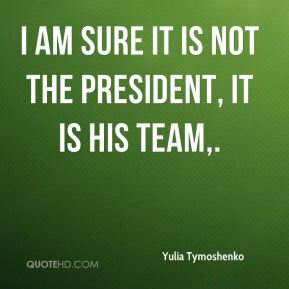 I am sure it is not the president, it is his team. There was a separate government established by Poroshenko, ... 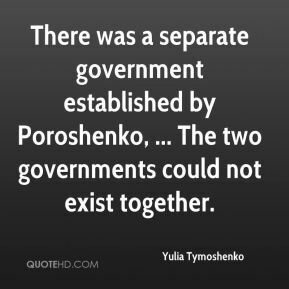 The two governments could not exist together. 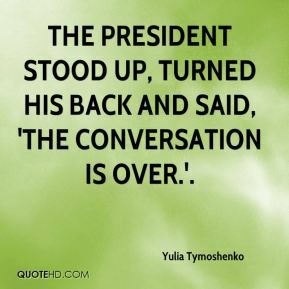 the president stood up, turned his back and said, 'The conversation is over.'. I think these two teams will go their own way. ... Viktor Yushchenko and I will go to the elections on parallel paths.